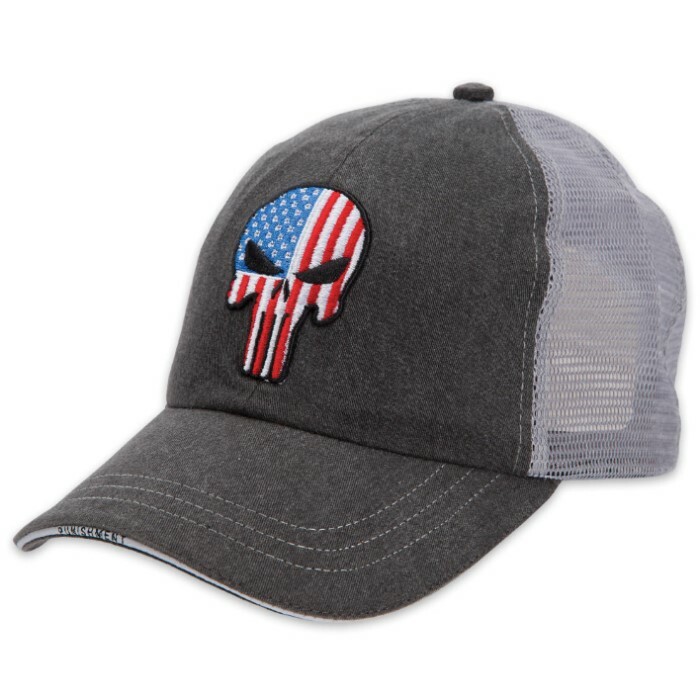 The Punisher American Flag Cap - Hat | BUDK.com - Knives & Swords At The Lowest Prices! 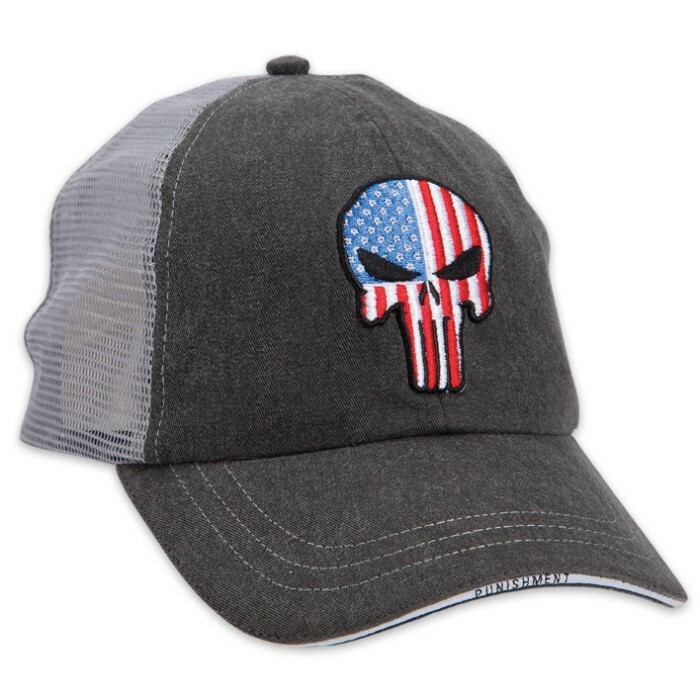 The Punisher American Flag Cap has the iconic “The Punisher” skull fashioned out of the American Flag. The trucker-style cap is made of 100% cotton twill that has been pigment washed. The front of the hat provides a gray background to the embroidered design and the bill features a gray trim around its edge with the word, “Punishment”. 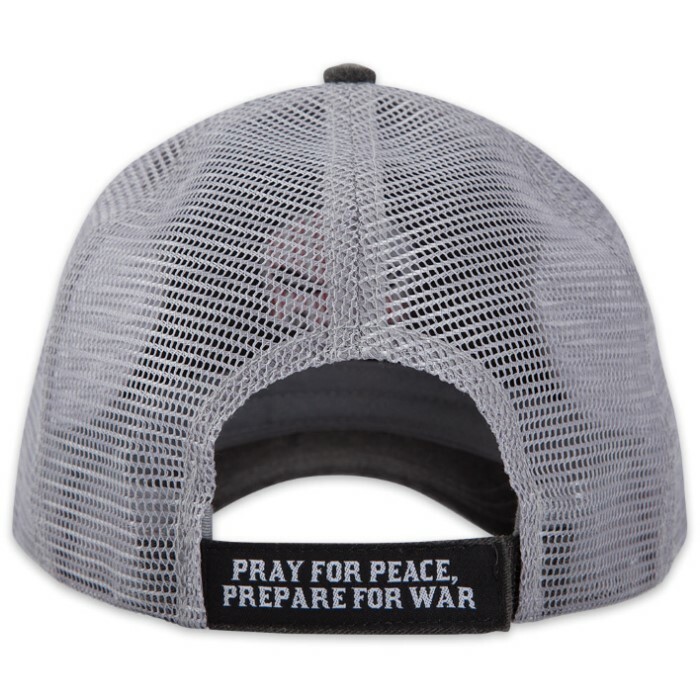 The hat has an adjustable strap in its gray polyester mesh back.